Despite a rich history of classical black composers and musicians, black people are far from ubiquitous in classical music. And hip-hop, in which black people are ubiquitous, seems to operate in a world still separate from classical. Essayist and journalist David Samuels called Kanye West “the Mozart of American music” In a 2012 article in The Atlantic. Barring a cello version of, say, “All of the Lights” on YouTube, that’s probably as close as this generation has come to having hip-hop and classical music rub shoulders. The title is an unsubtle hint that the duo are tackling the sort of presumptions the average person no doubt makes when they picture two 6-foot-tall black men with string instruments — the sort of look that sizes them up and says, “That’s interesting.” It’s the look that has likely followed them around in the decade that they’ve worked together, even while on stage performing for President Obama at his 2013 inaugural ball. Their timing couldn’t be more apt. WXQR.org reports that fewer than three orchestral musicians in the United States are black. Marcus, whose real last name is Sylvester, says in an interview with NPR that he initially dismissed the violin as uncool, and Baptiste originally wanted to play the saxophone. But soon both began to love orchestral music, and Baptiste even began to see parallels in hip-hop. In Black Violin’s merging of the genres, this is precisely the point of course. Baptiste and Marcus see no reason that a viola or violin can’t get the party going. They also don’t want elitist thinking looking down on hip-hop. On the title track and throughout, Baptiste and Marcus work their bows furiously, as if each note is swatting away the sort of stereotypes that regular people (including Marcus) discuss on the song. This very rich blend of genres is the duo’s most persuasive sermon on stereotypes, and the best moments on “Stereotypes” simply put on display their swift virtuosity. Listening to their work, one sees no reason why classical music remains less racially integrated than other forms of music. If young black musicians can go by Black Violin’s example, orchestral music need not be “still dominated by dead white men’s music performed by living white men,” as a Guardian article from January so eloquently put it. Either way, “Stereotypes” works whether you listen to Mozart or not. And it will work if Mozart is the only type of musician you do listen to. 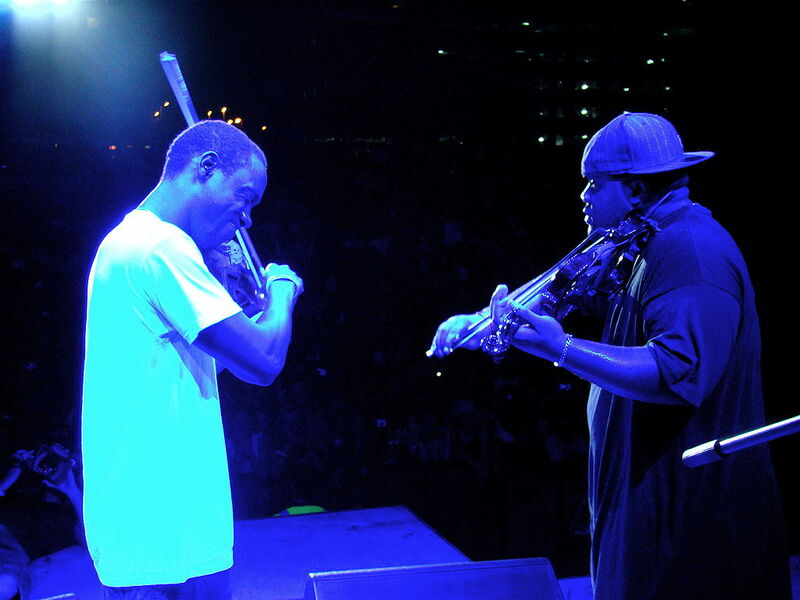 Black Violin made “Stereotypes” for both listeners. Their one hope is that those listeners can become friends. This album will make for a good ice breaker. Marc Rivers, a film major at Howard University, is a cultural critic and writer for TruthBeTold.news. He is also co-founder of ATribeCalledNews.com. Here are timelines of “28 Classical Music Moments in Black History” from Houston Public Media and “A History of Black Classical Musicians” from WQXR in New York. 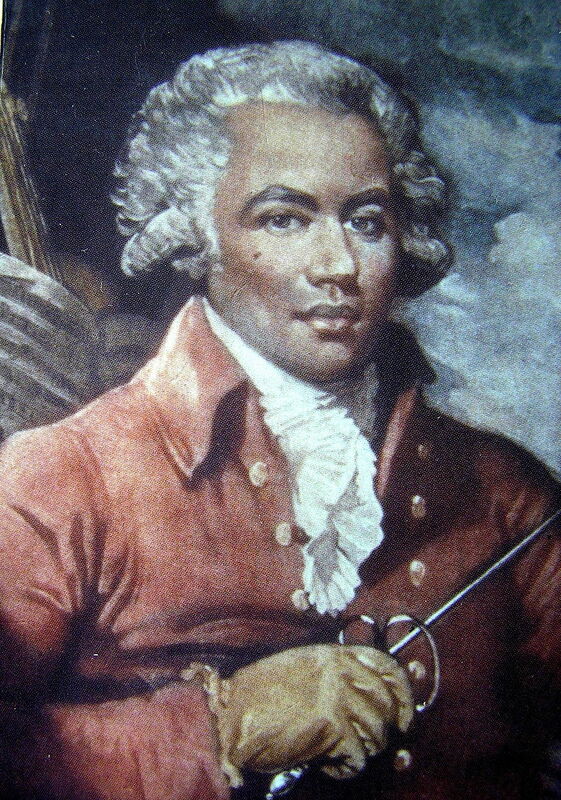 A modern etching of a 1787 etching depicts Chevalier de Saint-Georges, left, a composer and fencer in France. Is Interest in Classical Music Dying?